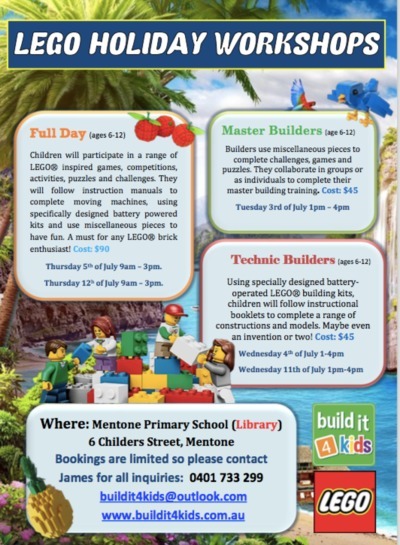 LEGO fans rejoice because the Build it 4 kids team will be back again for a winter workshop program during the July school holidays. 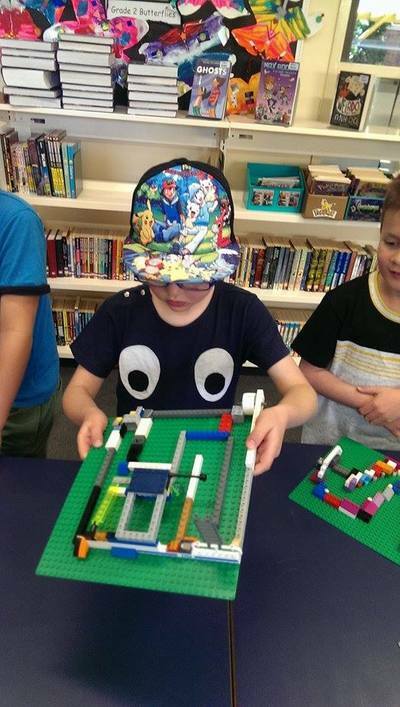 Choose a full-day or half-day LEGO workshop because the Build it 4 kids team offer both. Build it 4 kids teach fun classes using both LEGO® and LEGO® Technic blocks. 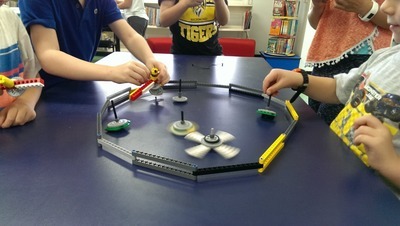 The winter Build it 4 kids workshop program is designed for primary school children aged 6 - 12. Technic Class on Wednesday 4 July & Wednesday 11 July. Book your child on to one of Build it 4 kids' winter workshops quick sticks because these classes sell like hot-bricks! Contact James on 0401 733 299 or email buildit4kids@outlook.com.